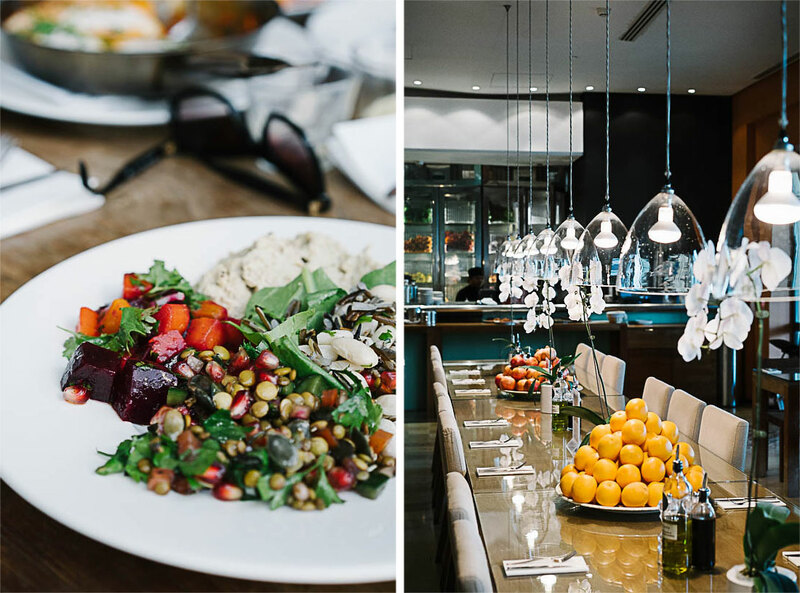 This guide might not be as mighty as my Berlin or London vegan travel guides (which you can find here) but don’t fret it’s still full of my best tips for a successful time spent (eating) in Dubai. The city is something like I’ve never seen before and it is not necessarily my cup of tea over all but I’ve been there more times than I can count on one hand as Rob’s parents live and work there. My experience has mainly been guided by Rob’s mother Agi and I’m a little ashamed to say that I’ve never really been out exploring the city on my own. This is partly because I am terrified of driving there as people who reside in Dubai have their own special style of driving where they do what they want when they want. Whilst I think this is probably a nice way to live and would encourage people to approach life like that more I’m not comfortable on the road surrounded by people with this attitude. Another reason is that I’ve never really gotten to know the public transport system and since pretty much everyone drives there it is not always the easiest to visit places by public transport. Although I would recommend going on the tube through Business Bay because it is quite the sci-fi ride. In terms of walking around the city you can more or less forget it, unless you visit a park. Or a shopping mall. The malls seem to form the social existence of people in Dubai and it really is a city built around shopping experiences, or at least this is my impression. I think they also have a fantastic function in the summer months as they are air conditioned and it gets veeery hot outside in the summer months. 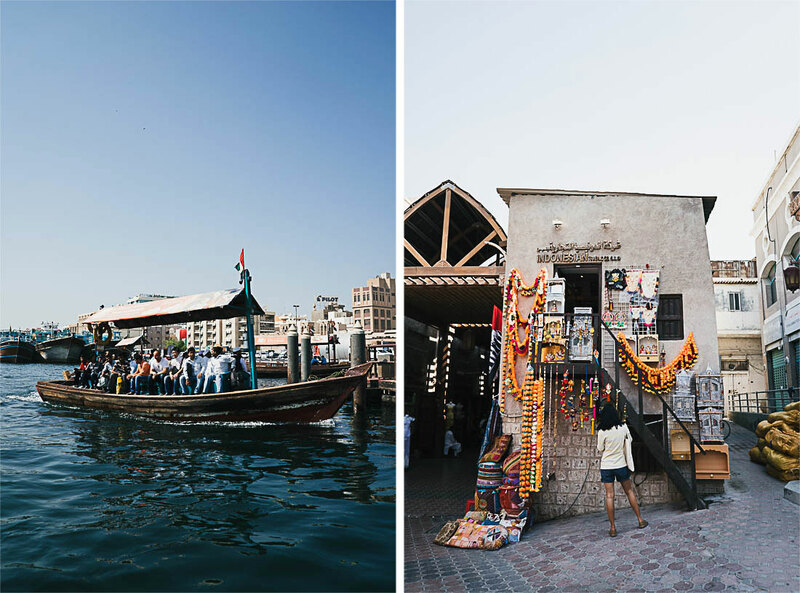 Bottom line, if you like shopping – you will love Dubai! Although one thing I will say is that it is not a cheap place to visit, you will pay quite a lot of money for most things. One exceptions is cabs, which is actually very handy (but not so environmentally friendly, ditto the whole shopping thing). My impression is also that there are mainly chains and big brands represented in Dubai and it can be a little tricky finding something small and local, but it’s not impossible. 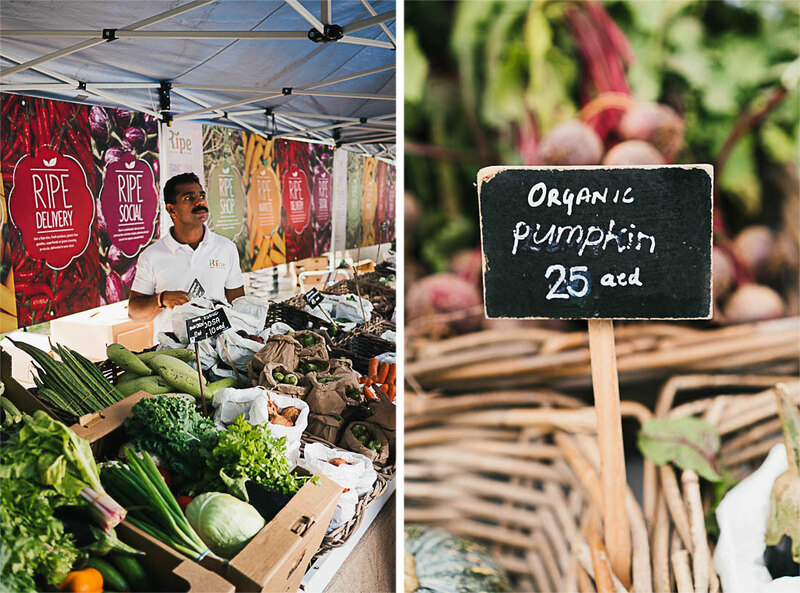 I share a little bit about my favourite place to get some of that in, Ripe Fresh Market, below along with a bunch of other places to keep you and your jaw busy on your visit. In terms of food and being vegan in Dubai I don’t find it very challenging as there’s lots of choice around. This in spite of there only being two dedicated vegan place in the very restaurant filled city, to my knowledge. 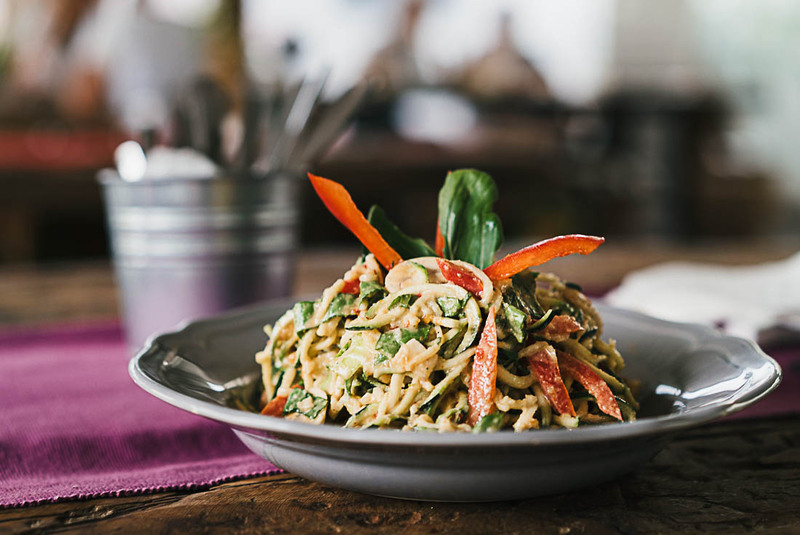 I usually find a handful of vegan items on most menus including salads, soups, grain and pulse dishes as well as roasted vegetables. There is a lot of Lebanese food and lentil soup is abundant, however make sure to ask about the broth though as it can vary from place to place. 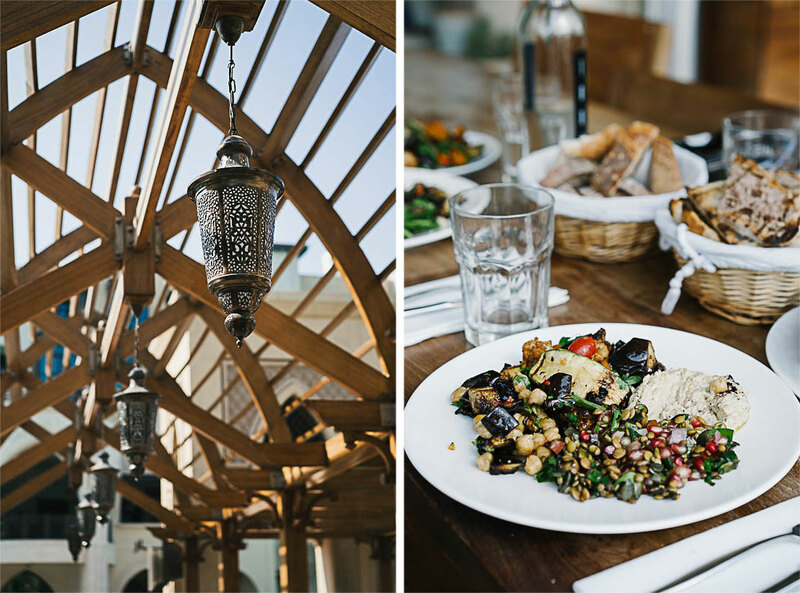 Enjoy falafel and houmous galore but make sure again to ask if there’s dairy in the houmous as that seems to be a popular way to prepare it in Dubai. There’s also a fair amount of Asian food represented and you can enjoy delicious Indian, Thai, Japanese and Chinese. The style of restaurants are also abundant; you’ll find everything from greasy food courts to fine dining and this is rather exciting I think. The finer dining experience is pretty spectacular in Dubai, especially the decor of many restaurants has a wow effect. I’ve been lucky enough to be invited to a few gorgeous restaurants and will share my favourites with you below. In terms of the food court you can find various vegan foods such as falafel, noodle dishes, Indian curries and dosas as well as sushi. 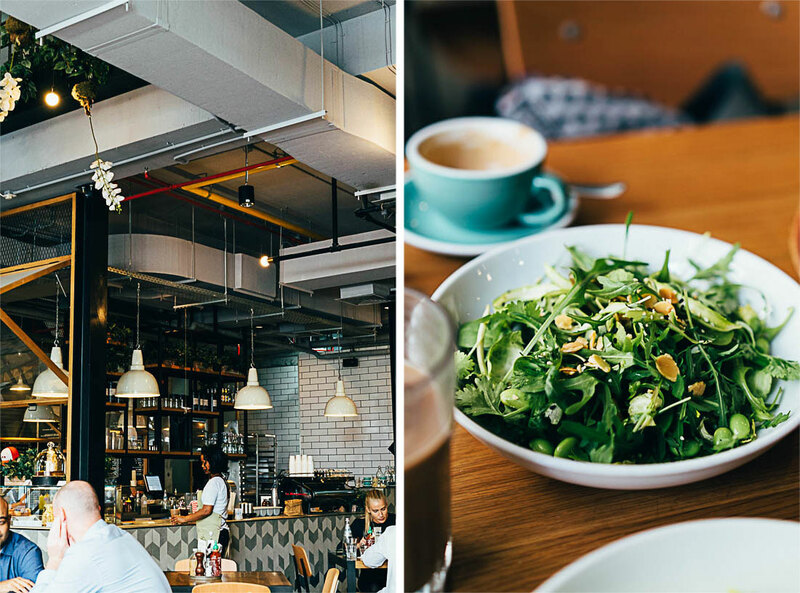 Another thing to mention regarding the food scene here in Dubai is their love of brunches and by brunch I don’t mean french toast and a bloody mary. In Dubai they go all in buffet style. This is not the most exciting thing as a vegan as the brunches are usually decadently abundant in sea food and other meats but this wouldn’t be a post about Dubai and the food there without mentioning them. The brunches are usually also rather expensive but if you do visit one you will see why. Dubai is a city of abundance and wealth but also a place where opposites are polarised and this is something which has been very hard for me to swallow. Therefore I always recommend to people curious about visiting to make a stop over for a couple of nights on their way somewhere else (which is very easy as the airport in Dubai is now the biggest travelling hub in the world). Within that recommendation lies a wish that the person will only have time to skim over the surface and enjoy some of the lovely experiences available here without digging to deep into its reality. Sometimes seeing the beauty of things in a wide swoop across the exterior is okay and that’s how I myself would want to experience Dubai if I could go from the beginning again. Now let me take you through my favourite Dubai spots and hopefully you’ll get to experience them yourself one day! If you’ve been to Dubai please share with us your favourite places in the comments and if you’re going and have questions fire away in that space too. 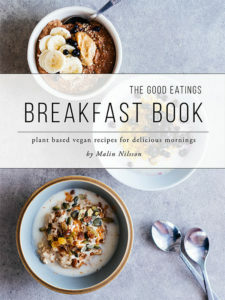 More vegan city guides; Cape Town, Budapest, Berlin, London and Stockholm. 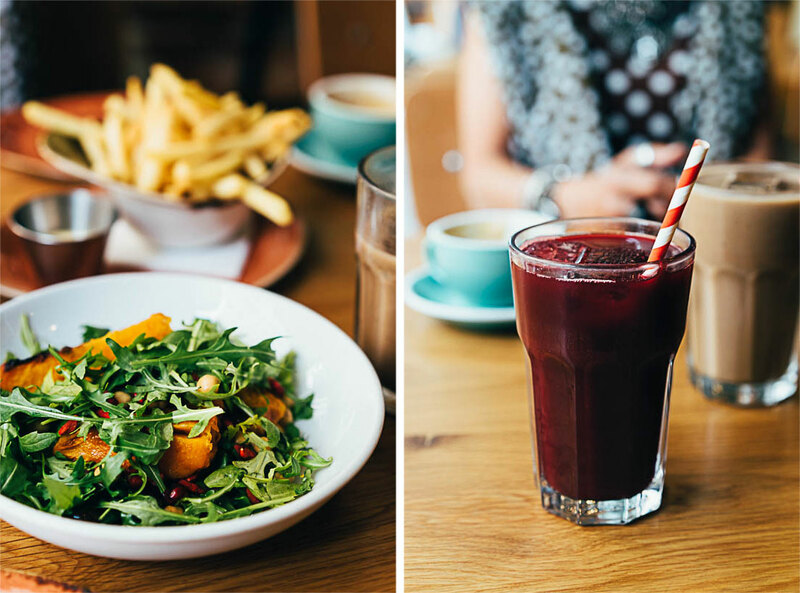 A concept store and cafe with very fresh foods as well as great juices and smoothies. If I could pick only one place to eat during my whole visit this would be a strong contender. It is not a vegetarian or vegan place but always have good options. 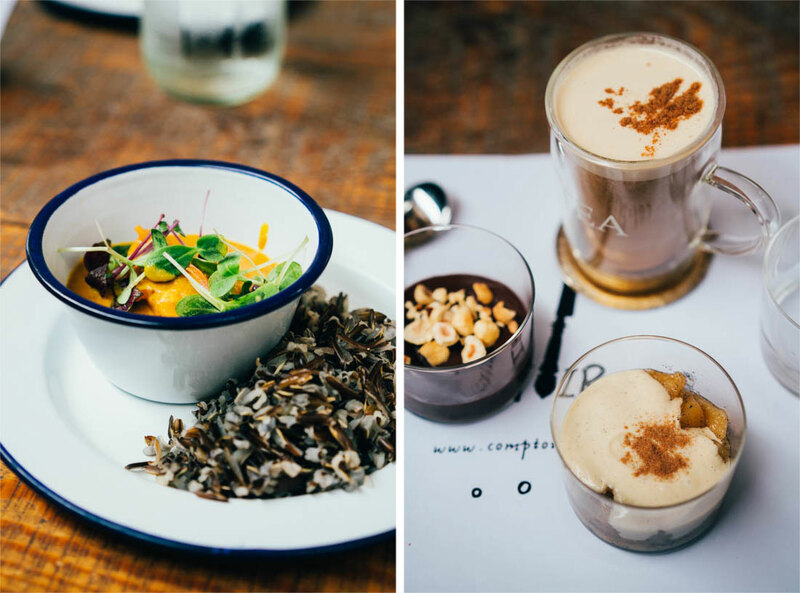 I thoroughly enjoy the vibe of Comptoir 102, it’sa bit of an oasis in the middle of this very busy desert city. This is a great pace if your after a fresh yet filling salad. 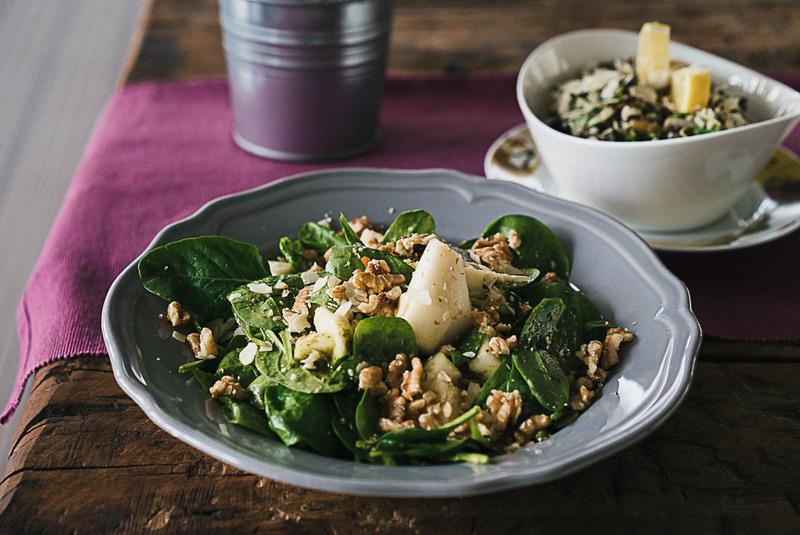 Choose from an array of inventive salads and they’ll plate it up for you. 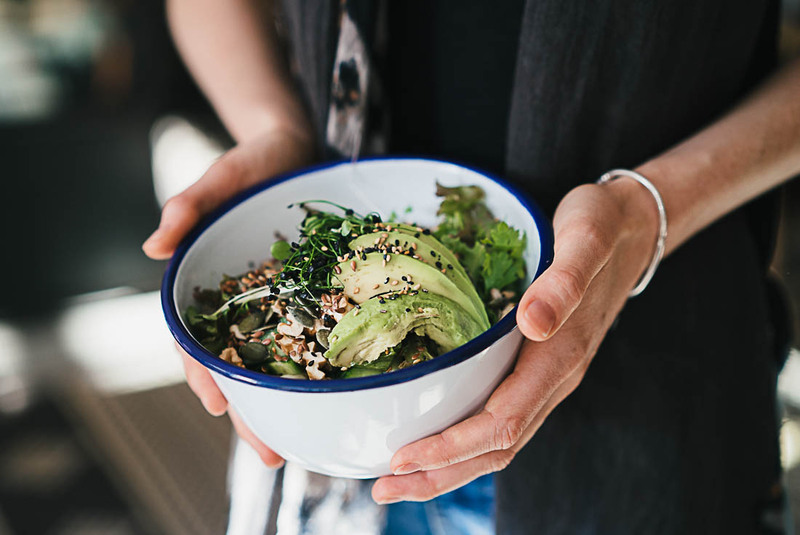 And it isn’t just lettuce leaves; you’ll find whole grains, pulses, raw or roasted vegetables and fruits like pomegranate all mixed and well presented for your choice. This is Dubai’s only raw food place and although I’m not too keen on their smoothies I really enjoy their food. I love the pizza bites and the onion burrito. It is also conveniently located at Galleries Lafayette within Dubai mall which is serviced by the underground. This place is in a quieter spot by the water and they serve some yummy raw desserts. Their salads are good too but I found on my visit that I needed to add a little seasoning to really enjoy them. It is not vegetarian nor vegan but still a nice place to visit for some tea and cake or a light lunch. The restaurant also has an interesting decor which is always appreciated. 1-4, Baker and Spice Dubai Mall. 5-6, Bestro. 7-8, Omnia Gourmet. Jumeirah Beach Road, 27b street, Jumeirah 1. 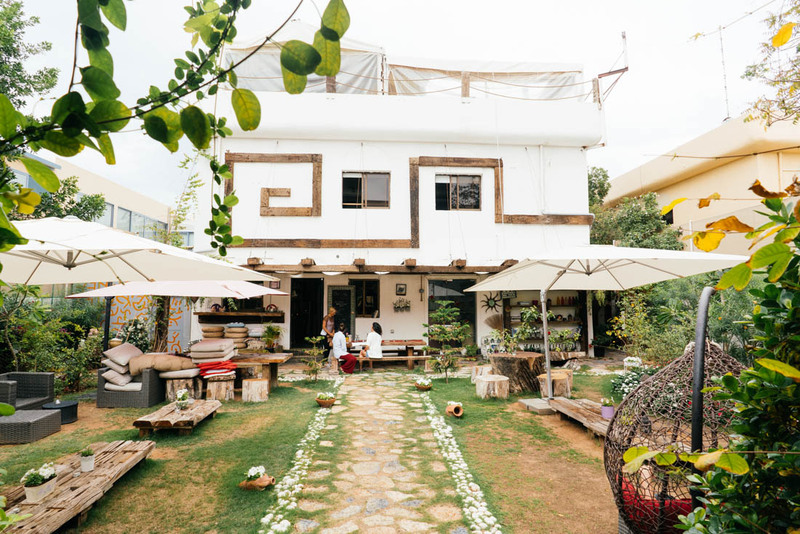 This yoga space and cafe is a relaxing haven hidden away from the main road. 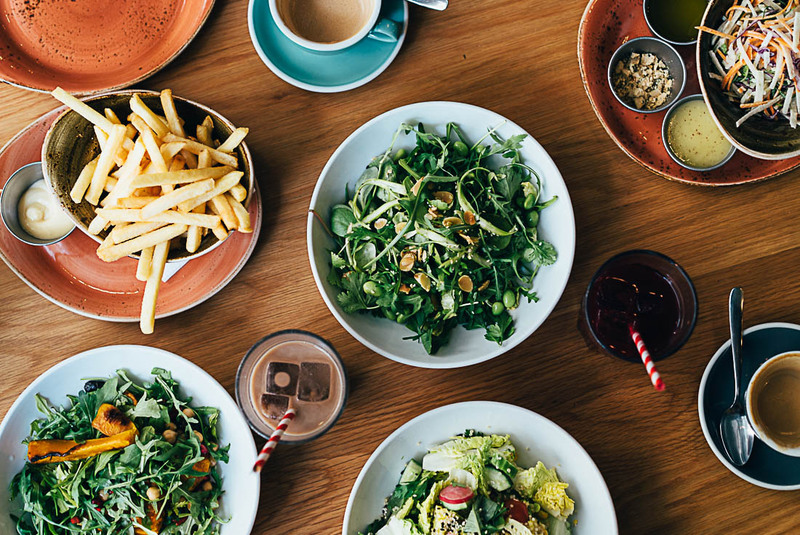 Enjoy a bunch of vegan foods, smoothies and raw cakes and treats. 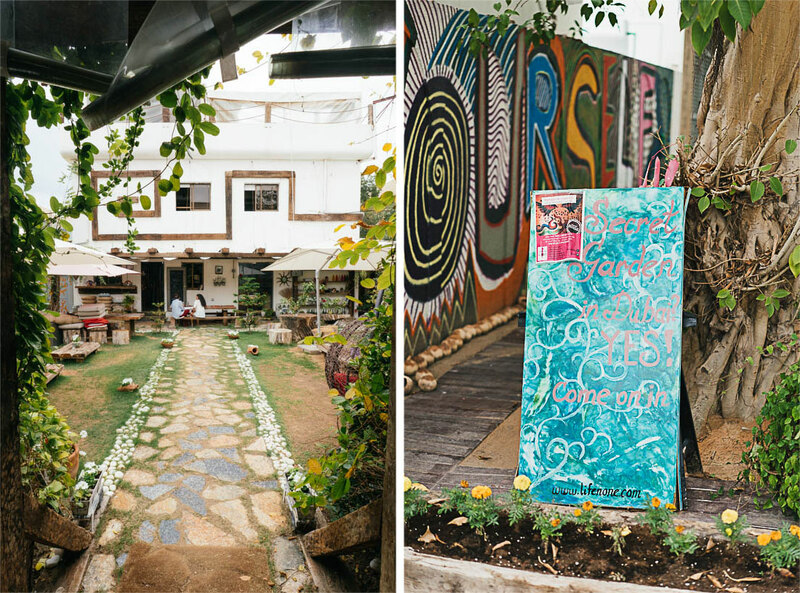 We tried a kundalini class here and had a great time. Burj Al Salam, 6th St. 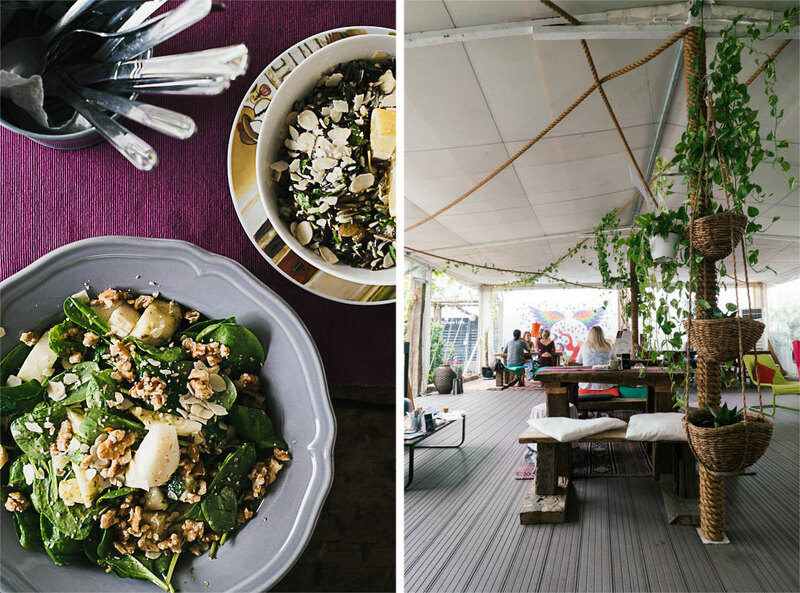 This very trendy cafe is vegan friendly with an array of salads to choose from. Simply ask them to leave out cheeses or yogurts, they don’t mind. The juices were tasty too and the people watching was good. Also buy one of their freshly baked loaves of sourdough, it is the best in Dubai (to my knowledge). This is a fast food falafel chain with some seriously delicious food. I love the stuffed falafel here as well as the spicy potatoes but anything I’ve had is yum. A warm recommendation from my falafel loving self to all of you. Six locations, see website linked above. Another falafel chain which is less stylish and a little less tasty than previously mentioned Operation Falafel but definitely an option for all of us looking for a meatless meal. They make baked falafel for those of you looking for something a little healthier (the fried ones are however tastier, but maybe that’s self-explanatory in this case) and for us who can’t have gluten they offer quinoa tabbouleh which knocks this place up a peg on my preferred places to eat list. 1-6, Sum of Us. 7-8, Operation Falafel. 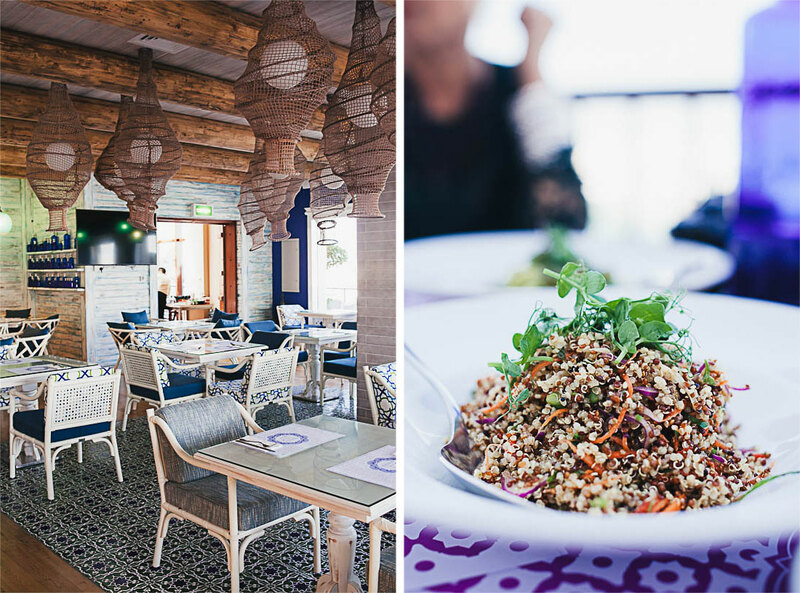 This is the second completely vegan restaurant in Dubai. Unfortunately on our lunch visit it seemed a little deserted but the food was tasty and nicely presented. It is mainly burgers, pizzas and curries so nothing too fancy but like most things in Dubai it is presented in style. Their baked cheesecake was delicious and their pistachio ice cream equally so! Looking for a place that will impress or just want to treat someone to a spectacular night? I’d take them to Zuma. It is a very popular restaurant and it isn’t for the budget conscious but the Japanese menu with a contemporary twist never disappoints. 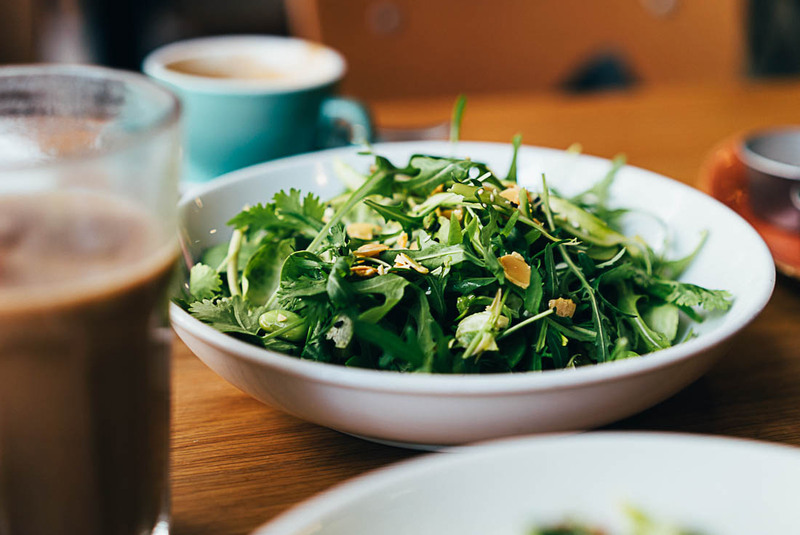 Try the seaweed salad and the fried tofu with avocado. And don’t miss out on the sushi. G Floor, Emirates Towers Hotel, Trade Center Area. This Chinese restaurant is very stylish and I’d say in line with Zuma on the scale of fancy. 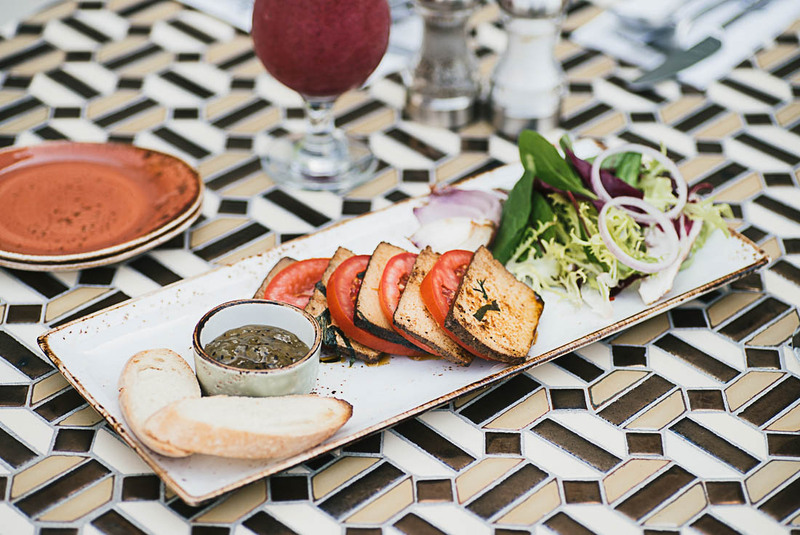 They have a separate vegetarian menu and a few yet very delicious dishes suitable for vegans. I love the mushroom hotpot. Park Hyatt Dubai, Dubai Creek. This restaurant is located very close to Rob’s parents home and I’ve been lucky enough to visit on quite a few occasions. I even celebrated new year’s here last year. 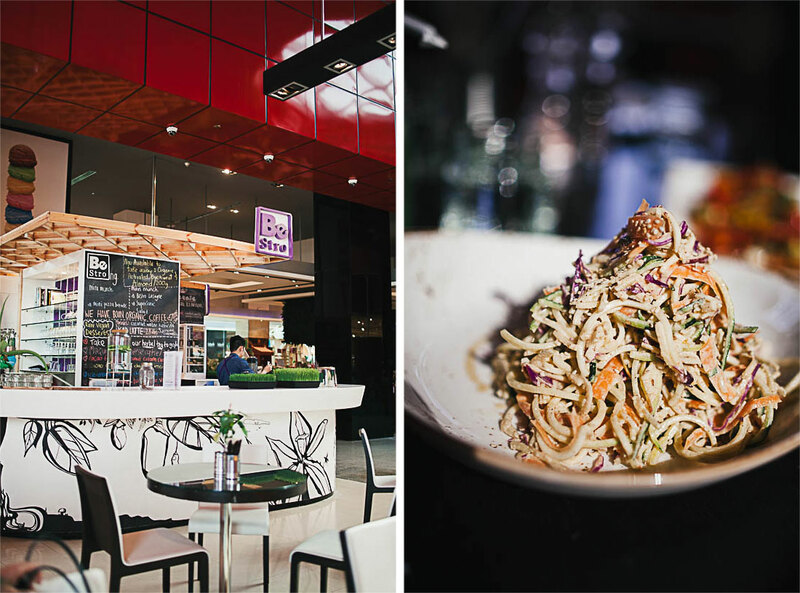 Enjoy the mushroom in galangal hotpot, vegan pad thai, green papaya salad as well as the pomelo salad. These are just my favourites though, there is a lot to choose from here! 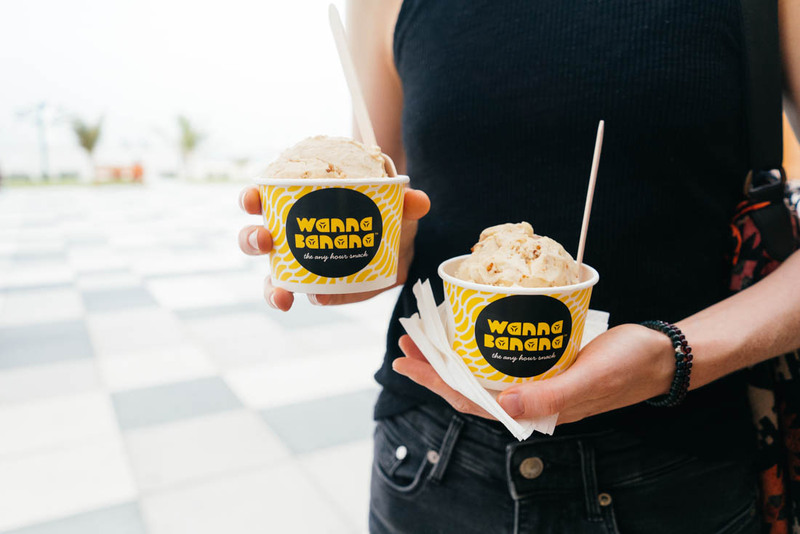 Banana ice cream at the beach? Yes please! Best vegan beach snack/treat comes in various natural flavours, my favourite being peanut butter. You can also get smoothies and breakfast bowls here. This is a food feast happening in Zabeel park every Friday ( in the less hot part of the year) which I love. There might not be heaps of vegan food but there is enough to keep me happy and it’s nice to gather with people elsewhere than malls which doesn’t happen all that often in Dubai. Try Coco Yogo’s raw desserts, cheeses and yoghurts and their is also a raw food stall with great burritos. Sheikh Zayed Road and The Village, Jumeirah 1. The place to go for all your funky grocery shopping. They aren’t amazingly stocked but all the fruits and vegetables are organic and they’ll have most of the things you might want that the regular supermarket might not offer. You won’t find many stores in Dubai catering specifically for ‘alternative diets’ like you would in most parts of the Western world. Therefore this Waitrose is fantastic! You’ll find tofu and tempeh for example along with various other Asian specialities and they have an organic section with lots of whole grains and gluten free cooking/baking ingredients. The fruit and vegetable section is always well stocked and they do have some organic options, this is something not that well looked after in Dubai though (in my opinion) so gotta take what you can get, right? 1, Wanna Banana. 2-6, Tidjoori. 7, Thai Kitchen. 8-9, Zuma. The souks are a great place to visit to look at or buy heaps of gold, spices and incense or pashmina. You can also find a Hindu temple hidden in the souk maze as well as some shops selling Indian sweets and iconograhy. 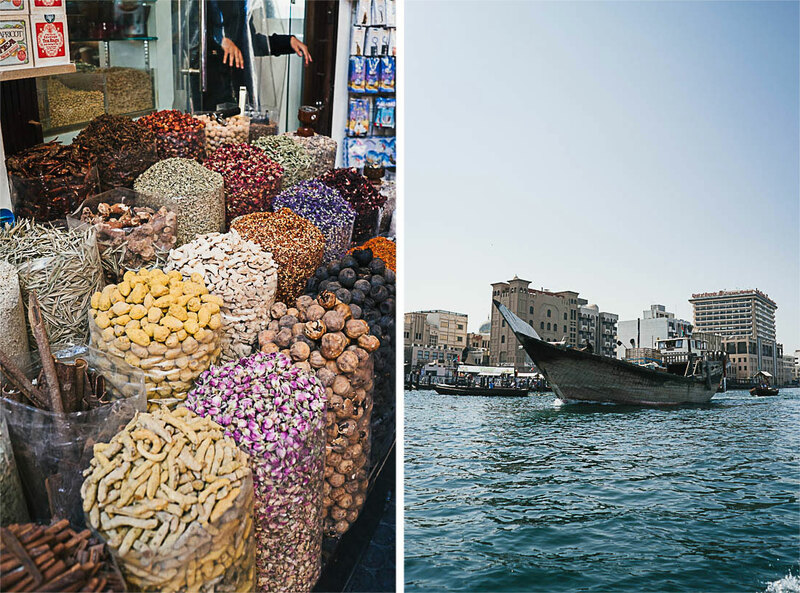 My favourite part is taking the abra (the water taxi) from the spice souk over to the textile souk. It will cost you 1 dirham and takes roughly 3 minutes. I could go back and forth for a couple of hours if my travel partners would let me. 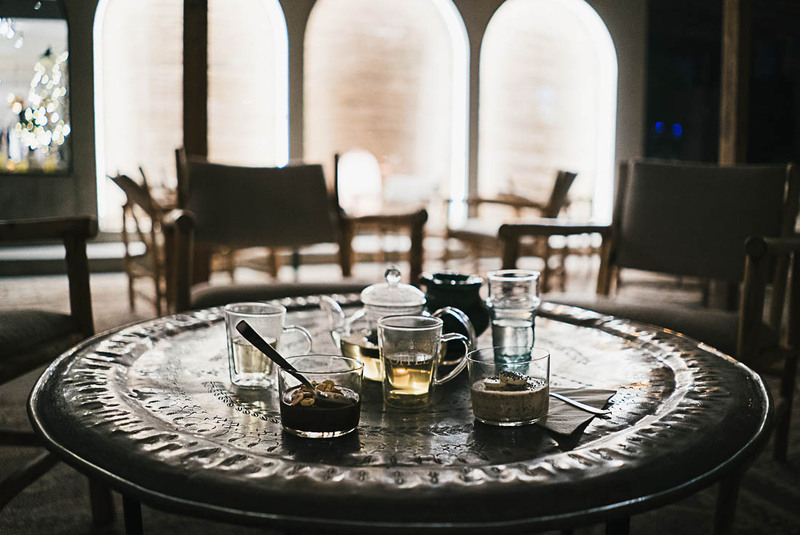 The old town and the Dubai museum is not a must on my to do list in Dubai but if you want to learn more about traditional desert living this is where you’ll learn about the lifestyle and customs. The Sheikh Zayed Mosque in Abu Dhabi is well worth a visit. You could take the bus from Dubai or drive which would take you around one hour. It is a giant white marble structure so bring your sunnies if the sun’s out because it will blind you. It is beautifully opulent and my favourite feature are the marble flowers in the floor of the court yard. Rob and I walked into this area by chance going to an event and were met by a bunch of art galleries in an old industrial complex. Seemed young and trendy, and fun. They even have hoola hoop evenings, check them out! There are many, many, many malls in Dubai. Probably a few too many. But if you’re in Dubai you probably need to visit one at least to actually experience what Dubai is all about; shopping. Whilst I am trying not to by from chains anymore I only really window shop at the mall but Dubai is perfect for this and the Dubai mall specifically is quite a spectacular place. From here you can also go up to the ‘top’ (not actually the very top) of the Burj Khalifa where you get a panoramic view of the city. You can also see the audio synchronised fountains as in my video above. If you’re looking for a good track to have a walk or a run this is a great place to do just that and it’s located right along the beach. You can also squeeze in some sightseeing as at one end the track finishes at the Burj al Arab. There’s also beach volleyball nets, a kids skate park, trampolines and a variety of cafes along the stretch to keep you occupied/distracted. 1-2, Ripe Fresh Market. 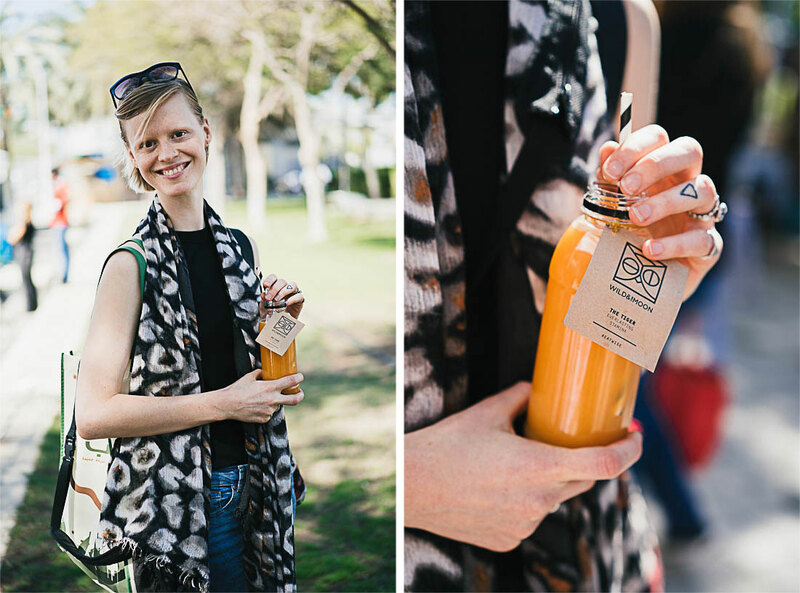 3-4, Me at said market with Wild and the Moon juice. 5, Rob in the old town. 6-9, Souks and abra (water taxi) across the creek. Loving your photos, as always. Dubai seems like it’s getting a lot of nice places opening up lately, but the shopping/mall craze does not attract me too much. I got a little taste of that when I was in Iran and made a short trip to the island of Kish, which is like a mini Dubai. Not too impressed with the scene. But it does seem like you found some serious gems! yes, I think Dubai is getting more interesting and different things popping up. I’m not really into the malls and the relentless Dubai shopping either. I’ve spent a lot of time there with my partner’s family though and been able to find some places I enjoy away from the hustle and bustle (and some smack in the middle). I’ve never been to Iran and wouldn’t have imagines that even a part of the country would be similar to Dubai but it’s interesting to hear your impressions, thank you for sharing! I’ll be traveling to Dubai in September this year for 3 days. I’m not a big shopper but I’m looking forward to experiencing the food, the view and the culture. Lovely photography and cinematography! I’m looking forward to seeing more of your posts and looking back through your archives. Enjoy the sunny weather and light therapy that is Dubai. Thank you for sharing your thoughts and I’m very glad to hear that you’ll be browsing my blog, thank you! I’m very pleased that you enjoyed this post, thank you for sharing that with me. I hope this was helpful and I wish you all he best when you visit Dubai! I think that if you are in Dubai you’ll probably want to see the tallest building on earth Burj Khalifa. If you’re not into such touristy attractions and you’re there on a Friday morning you should check out Ripe Fresh Market. I also love going to the souks, not so much for the shopping but to go on the water taxi called abra. 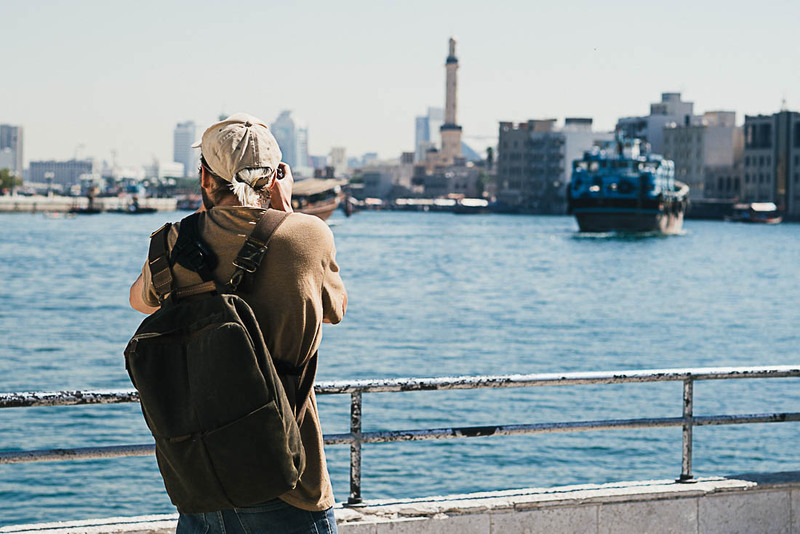 It will cost you one dirham and you’ll get a short ride from one souk to another as well as a lovely view. Which is actually close to the beach so if you’d like to enjoy the sun you’re right around the corner. Another nice lunch spot is the Sum of Us, very trendy however the vegan options are more or less limited to salads just to make you aware. For dinner I can recommend a restaurant I found only the last time I visited Dubai, it’s not necessarily very ‘Dubai’ but the food was yummy and the prices very fair – even low. It’s an Indian place in the older part of Dubai ‘Bur Dubai’ called Sangheeta Vegetarian restaurant. Closest tube stop is Union, and if you go you must order a dosa for me! Hi Malin. It is a shame that this is the view that you have of Dubai. There is so much more to do than the malls and expensive restaurants. I ‘ve lived in Dubai for 7 years now and we don’t all live the lifestyle that the media portrays. There are loads of outdoor activities outside the city: biking in the mountains, kayaking in the mangroves, camping in the desert and wadis. And these are pretty unique for a place called a desert. It is still a very young country which has come a long way since the 70s where they basically had nothing. And about the reality of Dubai and by that I assume you meant the living conditions of the blue collar workers – do know that the local community does a lot for those people, whether it is by offering food and water, friendly conversations or other form of donations. Although, much more could be done, i think the local community is doing their share in improving their daily lives! Hope you get to explore Dubai in a different perspective next time! Myself (vegan), my dad, and brother (vegetarians) are stopping over at Dubai on a friday arvo, saturday and sunday morning in the middle of summer. What are your suggestions to see and eat while we’re there? Also do you have any accomodation suggestions? How fun! In terms of accommodation I don’t have specific recommendations as I’ve only ever stayed with family but I think the Downtown are or the Marina are the most buzzy and popular. There you’ll be close-ish to most things. In the middle of summer it’s super hot in Dubai so it’s challenging to be outside for long spurts of time unless you’re used to very hot weather. Therefore I’d recommend indoor activities, and in Dubai that mainly means visiting malls really. If you are going to visit malls I’d recommend Dubai Mall which is very decked out and very popular. 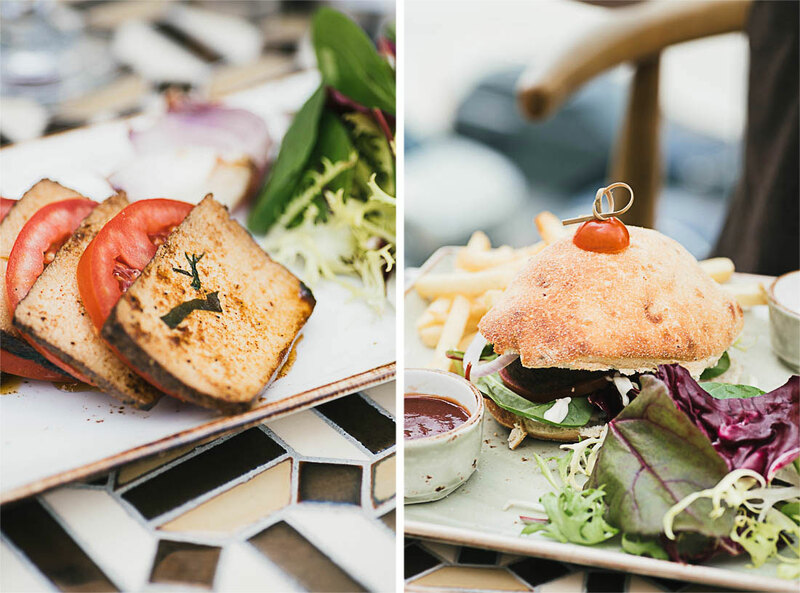 You’ll find vegan, mainly raw, restaurant Super Nautral Kitchen/Be Super Natural there at Galleries Lafayette. Or you could try Baker and Spice, both veg and non-veg friendly, which is located by the fountain which goes off every 30 minutes with an audio synchronised perfromance. I would definitely recommend going out to the Al Quoz area if you enjoy arts and also if you want to get away from all the mainstream shopping. In Alserkal Avenue you’ll find lots of galleries. 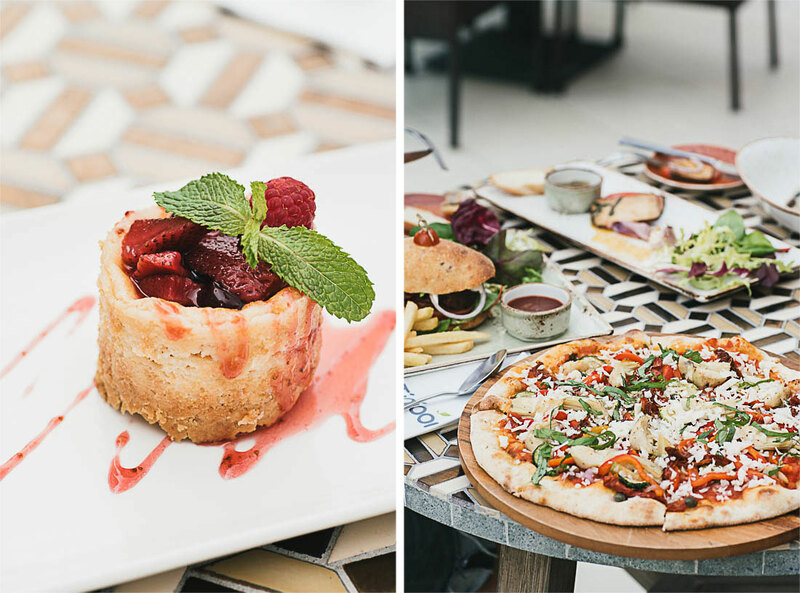 You’ll also find vegan cafe Wild and the Moon which has awesome food and a great relaxed atmosphere. Also check out Mirzam Chocolate Makers if you’re there, very unique and delicious chocolates (many vegan options). You could go to the beach as well which we always enjoy. In the summer you’ll probably want to stay in the water though and it’ll probably feel a little like a warm bath. 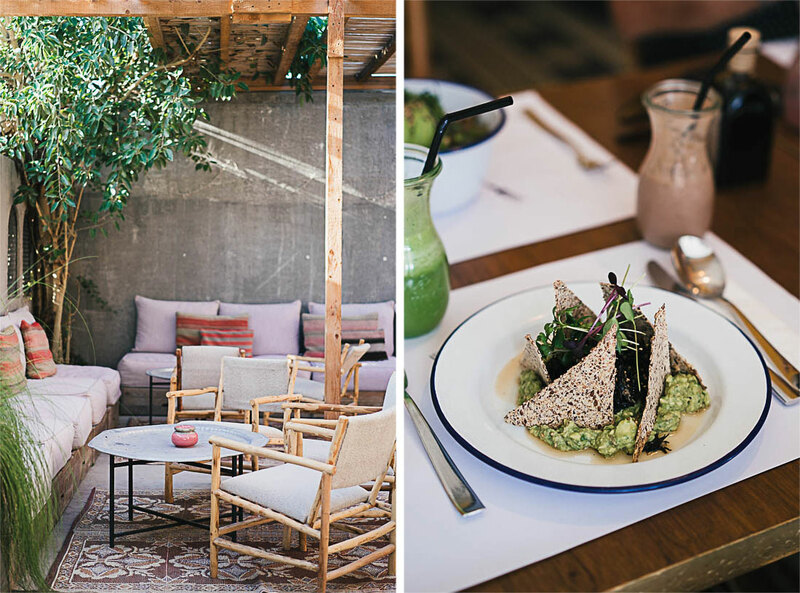 If you’re down by Jumeirah Beach there’s a vegan friendly place called Comptoir 102 on Jumeirah Beach Road which is also a very good looking concept store. 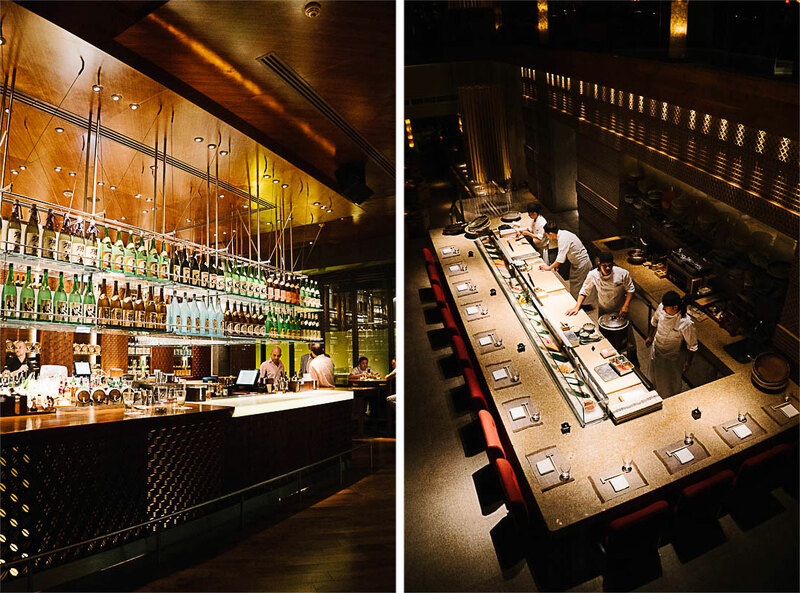 Finally if you want to splash out and go to a fancy Dubai restaurant I’d suggest Zuma or Coya. 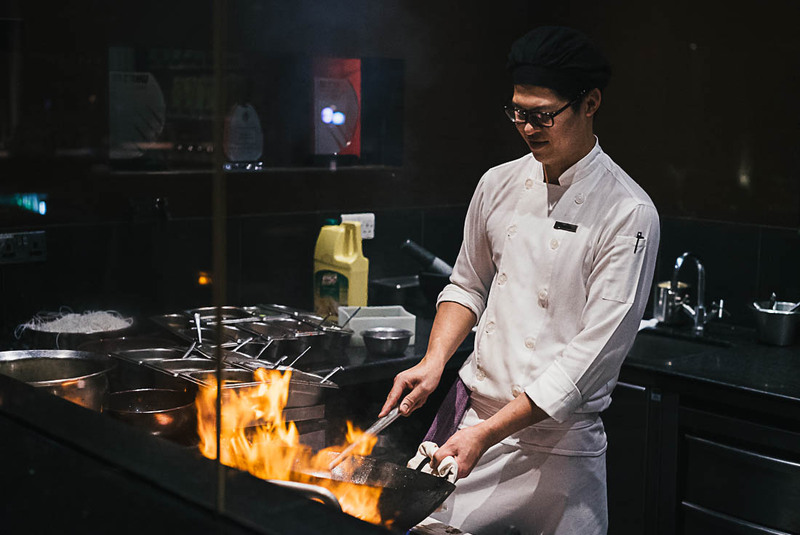 Zuma is Japanese fusion food, a lot of vegan options but make sure to let the waiter know you’re requirements and they’ll be helpful to let you know what’s suitable. 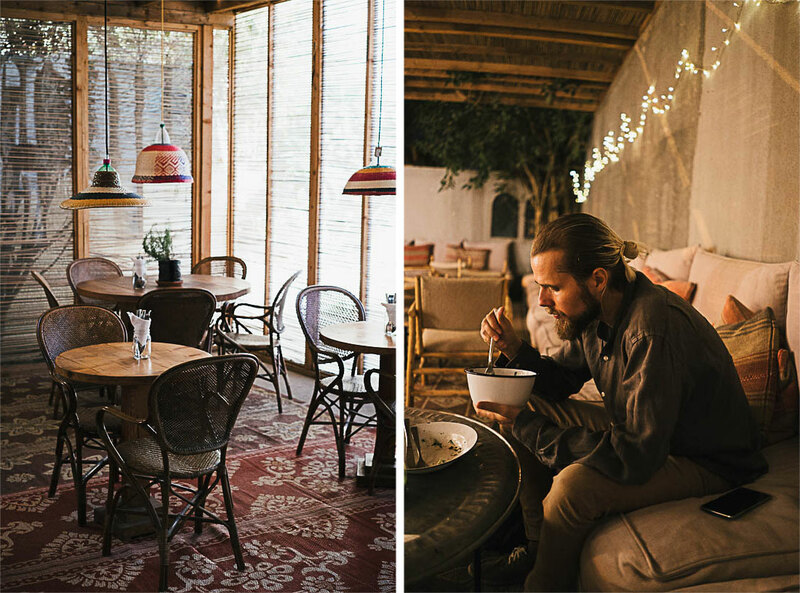 Coya is Peruvian fusion and we were there this last time and really enjoyed it. Again a lot of vegan options, a little younger crowd than Zuma. You might want to have a look at my vlogs from Dubai where you can catch a glimpse of most of these places. I hope this was helpful and have a great trip! Myself (vegan), my dad, and brother (vegetarians) are stopping over at Dubai on a friday arvo, saturday and sunday morning in the middle of summer. What are your suggestions to see and eat while we’re there? Also do you have any accomodation suggestions or what town/suburb would have the most vegan options? sorry it posted twice! thanks for quick reply! Malin, just amazing! Loved your photos and the way of writing. I had been to Dubai once, but I was not able to visit all the places as I didn’t get enough time (visit was a part of my job). 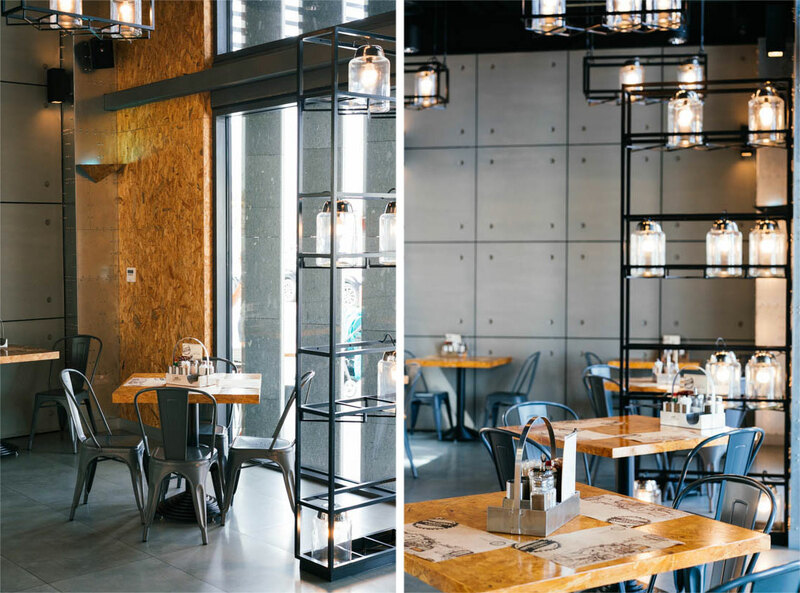 I went to City centre Mirdif mall during the visit and found a number of restaurants there – http://www.citycentremirdif.com/dining/dining-restaurants. My friend was explaining me about the specialities of each restaurant so that I can choose according to my taste. It was a nice experience. I am bookmarking your blog, so I can refer this during my next Dubai visit.